We are gathering at Queens' Diversity Plaza on Sunday, November 20th, from 12pm - 2pm. 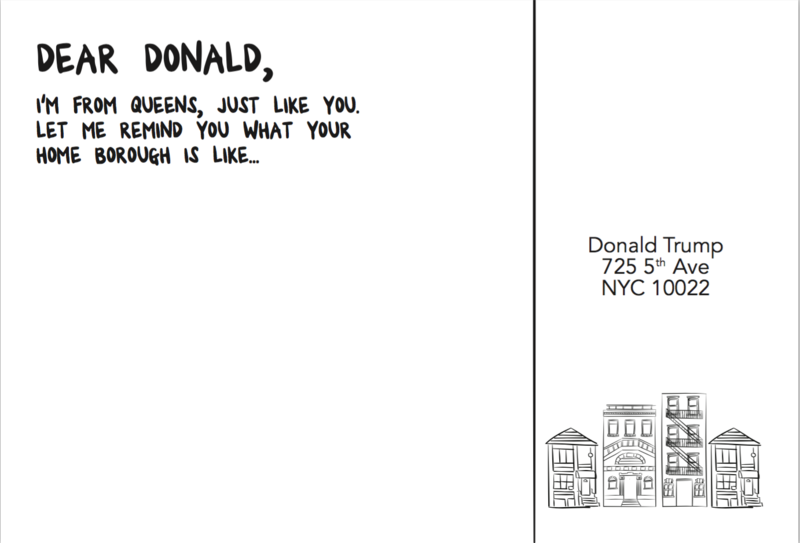 If you can't join us in person to send your letter, you can download and print your own postcard to send directly to Donald Trump whenever you like. 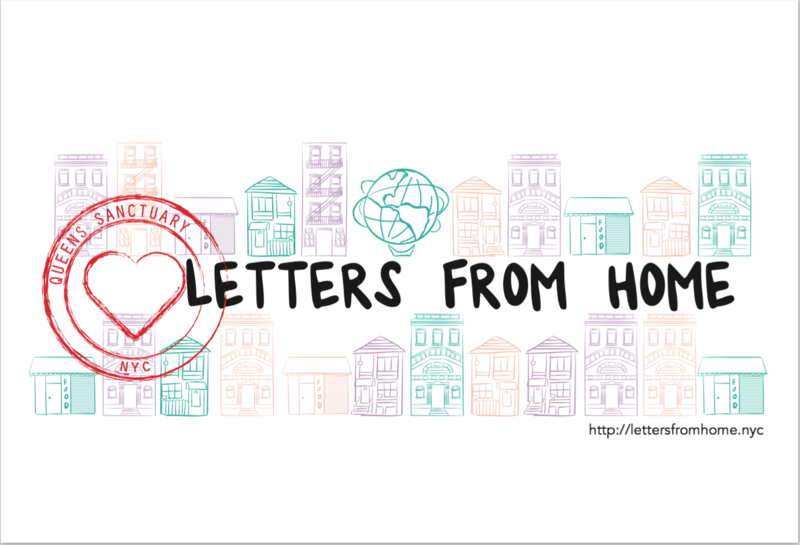 Please email us a picture of your postcard to hello@lettersfromhome.nyc, and we'll post it here. Need ideas for what to write? Try these. Describe the Queens that you live in and love. Describe the cultural diversity in your neighborhoods in Queens and what it can teach the rest of the country. Describe the many contributions made by immigrants living in Queens to NYC and the United States. Describe how living in Queens helps you achieve/realize the American Dream and what does the American Dream mean to you? Describe how immigration reform would strengthen the fabric of the United States and how is Queens a model for this reform?